Ever since their older cousin Mae showed them how to mix dirt, leaves, worms and orange juice in a bowl, the boys have been asking to do "science experiments." They've seen their uncle perform the black pepper in soapy water trick to show how molecules separate (or something like that). He blew their little minds. And their grandmother makes slime and other messy substances that take minutes to make and hours to clean up. I"m always a little skeptical of the mess vs. value of the product. 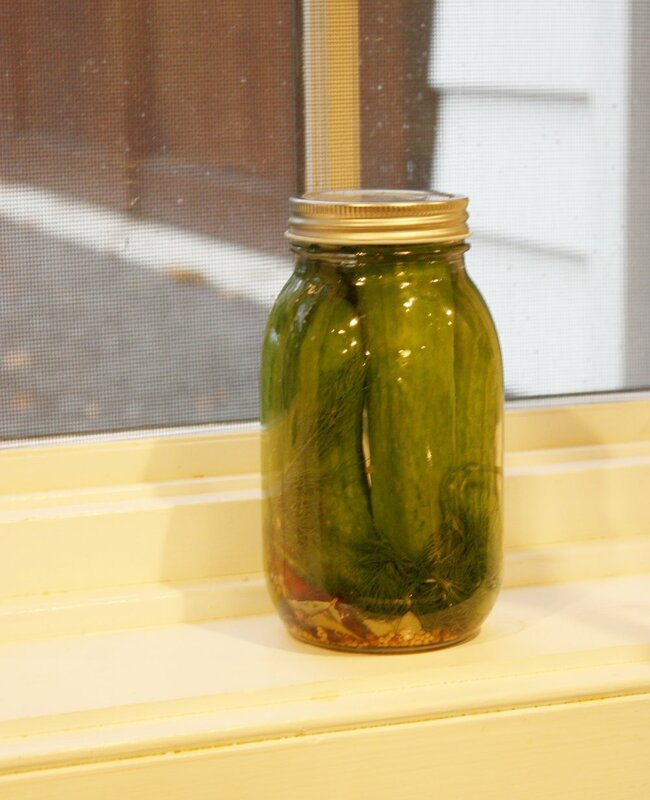 But then I remembered referring to my pickle-making attempts as science experiments. So I found a new recipe in the Jerusalem cookbook (no vinegar or sugar but lots of interesting spices, plus dill) and made it with the boys. They liked smelling cloves and learning about mustard seeds, and what happens when salt dissolves in water. Nate's persistent question throughout was "will they be sour?" To which I had to admit, I don't know. We'll see in 5 days. "Aw man," Mack said. "Can we play now?" Update: They were not sour enough for Nate's taste but they were tasty. Next time I'll play around with the spice mix. A different kind of playing than Mack had in mind, I guess. Stay tuned.